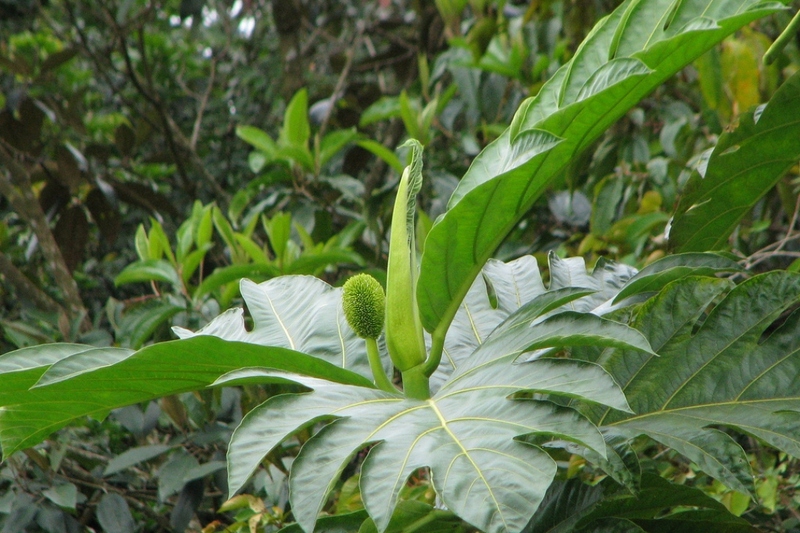 Breadfruit (Artocarpus altilis): growing, planting, caring. The tree that gives you bread as fruit ! Artocarpus altilis - the breadfuit - is a species of flowering tree in the mulberry and jackfruit family Moraceae, native to the South Pacific, and grown today across South and Southeast Asia, the Pacific Ocean, the Caribbean, Central America and Africa. 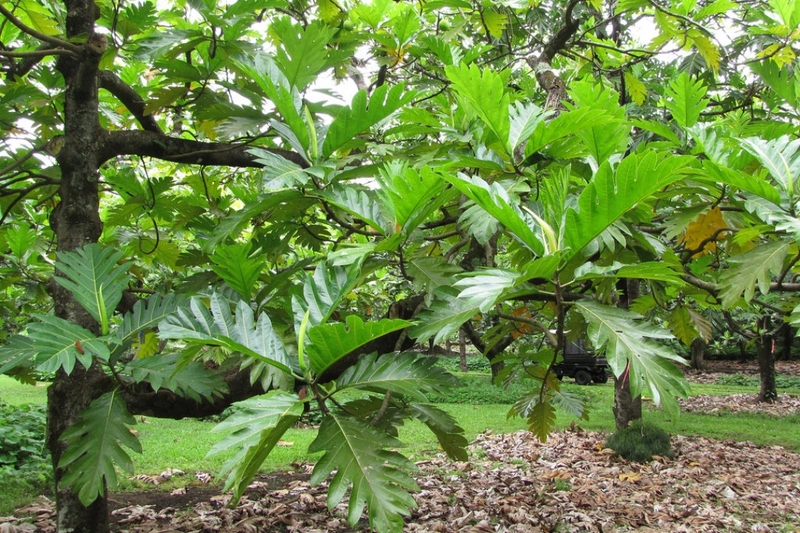 It is a beautiful tree growing to a height of 26 m (85 ft), with large and thick leaves, deeply cut into pinnate lobes. Its name is derived from the texture of the moderately ripe fruit when cooked, similar to freshly baked bread and having a potato-like flavor. 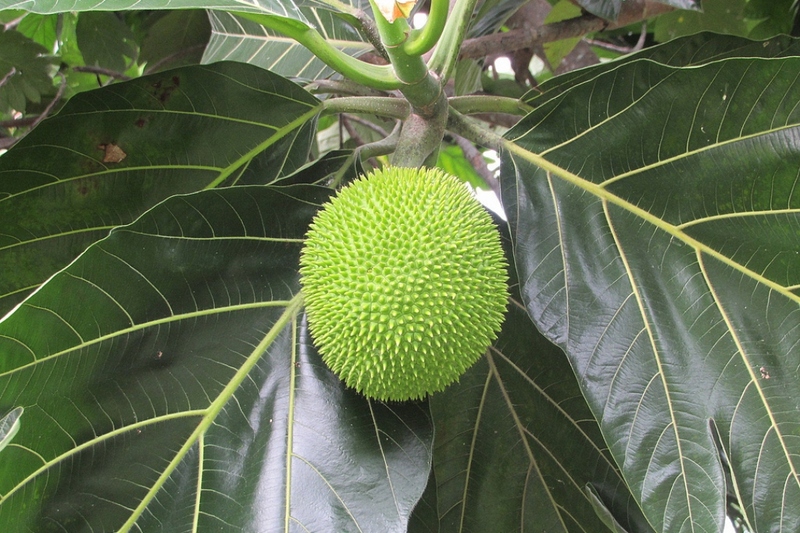 The breadfruit likes a full-sun, warm situation and a loose, well-drained soil, moist, but not wet. Plant preferably between September and the end of November or between March and the end of April. Bury the roots a few centimeters so that the foliage is flush. Fill and pack well around the plant so as not to leave a pocket of air. Water copiously just after planting. If you are planting in a pot, use one whose volume corresponds to that of the plant, otherwise you will have to water it too often. You can use gravel at the bottom under mixture of soil, compost or compost for better drainage. Water regularly in the first weeks. Try to avoid watering on sunny afternoons to minimize the amount of moisture lost to evaporation. If your plant is in a pot, check the top soil in the pot either by looking at it or touching it with your finger. In any case, if it hasn’t rained in a month, water ! You have to shelter or protect this plant for the winter season. Take your potted plant out right after the last frosts.